Height: females 21 1/2-23 1/2 in. ; males 23 1/2-25 1/2 in. What is the origin of the Berger Picard? The Celts brought this breed to northern France in the 9th century. Besides herding cattle and sheep, the Picard was used to smuggle tobacco across the border between France and Belgium. After World Wars I and II, the breed nearly became extinct and even now is rare. 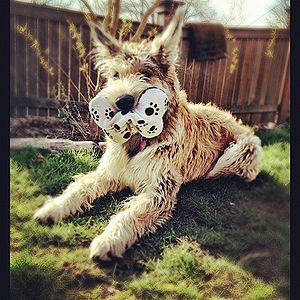 Some believe its relatives are the Briard and the Beauceron, while others think Dutch and Belgian Shepherds are in its ancestry. What does the Berger Picard look like? The Berger Picard is a medium-size dog, with a body slightly longer than tall. Females are 21 1/2 – 23 1/2 inches tall; males are 23 1/2 – 25 1/2 inches tall. Weight is between 50-70 lbs. Ears are erect and wide at the base. Eyes are dark. The tail reaches the hock and has a slight curve at the tip. The coat is weatherproof with a rough, wiry, thick topcoat and dense undercoat. 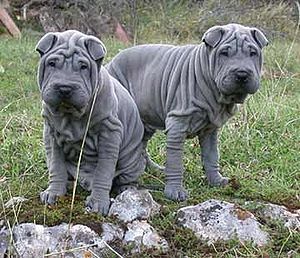 Colors are shades of fawn sometimes with grey bellies and trim on ears or brindle. 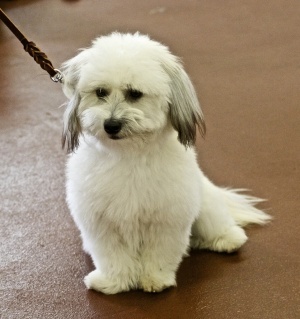 Ears need hand stripping and coat should be brushed twice a month to prevent matting. The Picard rarely needs bathing and has little odor. What is the temperament of the Berger Picard? The Picard, although having a stubborn streak, responds well to positive training and is quick to learn. Early socialization is very important and will help the Picard adjust to family life. Picards love children but are reserved with strangers. They are good with other animals as well. They have lots of energy and are happiest when given a job to do. Picards need lots of vigorous, daily exercise and should have at least a good sized fenced-in yard to burn off some energy. They are good watchdogs but don’t bark excessively. They love living indoors with the family. 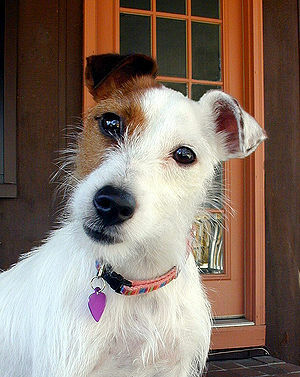 Five Berger Picards appeared in the movie, “Because of Winn-Dixie” (American 2005). Because of their scruffy appearance, people thought them a mixed breed which hasn’t added to their popularity. What is the Berger Picard used for? The Picard is still popular as a herder of cattle and sheep. They excel in agility, tracking and herding trials. Picards are loyal family dogs, enjoy lots of attention. They bond very closely with the family and some may suffer separation anxiety of left alone.